My bedroom is one of the most important places in my life – it’s where I do work comfortably, where I hang out and binge-watch, and most importantly, where I get some rest at the end of the night. Personalizing it with my favourite cozy and cute touches makes it feel like home, and my own special space. I’ve been having so much fun decorating my bedroom over the past few months since receiving my Bloom by Sleep Country mattress, but I’ve noticed that cute decor doesn’t come cheap. A throw pillow can range anywhere from $30-$80 depending on the store. One of my favourite bedroom hacks is DIY-ing decor using inexpensive materials you can find at your local craft store. This also allows you to personalize and customize your items (like the pillow I made) to match your exact preferences, style and aesthetic. For this DIY I used transfer paper to iron on one of my favourite sayings, “the snuggle is real”, and also added a playful pompon trim around the edge to spice things up. Keep reading for step-by-step instructions to make your own! You’ll also need access to a computer and inkjet printer, as well as an iron to apply the transfer. Look for inspiration for your design online! Pinterest is a great place to start, and there are a number of websites that offer free downloadable fonts and images. My favourite website to find fonts is dafont.com, and my favourite site for downloadable vectors is freepik.com. Once you have a design in mind, you can either use something you find straight from the internet, or create your own using programs like Microsoft Word, or design software like Adobe Creative Suite. I chose to use a quote and simple eyelash illustration I created using my design software, but you could also print out your Instagram photos or pics of your friends and family as a fun, personal alternative. Follow the instructions on your transfer paper to print out your design onto the sheets. You’ll be required to flip the image in your design program prior to printing, so it’s a good idea to do a test print on regular paper before using the transfer sheets. TIP: Since you’ll be required to print on a specific side of the transfer sheet (the unmarked side), it’ll be important to determine which way your paper feeds into your printer so that you can load your transfer paper correctly. I marked my test sheet with an X on one side before it printed so that I could determine how the paper fed into the printer. After printing, my transfer sheets required 30 minutes to fully dry before they could be applied. While you’re waiting for the transfers to dry, you can apply the decorative trim to your pillow. Iron out any wrinkles in the pillowcase and work on a smooth, hard surface. I used quick dry tacky glue to apply my trim, as I’m not planning to wash the case (it’s more a decorative prop), but use the adhesion method that works best for you. Once dry, cut out your transfers and arrange them on your pillowcase to get an idea of where you’d like them to be applied. Follow the instructions given on the package (mine instructed me to iron the item on a pillowcase on top of a smooth, hard surface, and to remove any water from the iron) and apply the transfers. Make sure to distribute the heat evenly, especially towards the edges and to make sure each section of the design receives the necessary amount of time under the heat to adhere. Note: This was my first time using any sort of transfer paper, and I didn’t realize that even the part of the paper without ink will somewhat transfer onto the fabric (it leaves a subtle, clear coating). Knowing this, I would have cut the shapes of the words and eyelashes out more accurately to remove some of the extra space. Once all elements of your pillowcase are dry, slip in your pillow and enjoy! I really loved the finished product and think it adds an adorable touch to my bedroom décor. I’m a huge fan of decorating on a budget, and love to take on a DIY project in my spare time! If you’ve been following along since I received my Bloom mattress from Sleep Country, you know I’ve been playing around with my bedroom decor, especially with the bed as the new focal point of the room. After browsing Pinterest for ideas, I stumbled upon this photo of a gorgeous floral wall hanging. I absolutely loved the simplistic and whimsical look of it, like the flowers are magically suspended in mid-air. I also noticed a few designs featuring pompoms and wanted to combine the two ideas. I’ve always enjoyed incorporating colours into my space, and thought this would be a fun way to bring life to the room, especially through the cooler months. This DIY took only a couple hours to do and I really love the end result! You could also substitute the fake flowers with real ones that have been dried if you’re after a more realistic look. Check out the steps below to make your own and for photos of the finished piece. Fake flowers and leaves in a variety of sizes and types – I picked up five bouquets from my local dollar store for $1.50 – $3.00 a bunch. 1. Remove the flowers from the plastic stems. Most fake flowers will pop o of the stem easily. Cut leaves down to size as necessary – I cut my faux eucalyptus leaves into 4” segments. 2. Roughly lay out your flowers in the formation you’d like them to appear on your wall hanging. This step helps with planning and to envision what you’d like the end result to look like – I didn’t end up using the faux roses as I felt the shape was too overpowering. 4. Take one of the pieces of fishing line and thread it with the needle. Use the needle to sew through one of the lines of flowers you’ve laid out, starting by poking up through the back of the petals, down through the front of the petals, and repeating as necessary. Use this method to thread the flowers onto the fishing line until complete. Repeat with all of your lines of flowers. 5. Create the pompoms for your wall hanging (steps below). 6. Thread your pompoms onto the fishing line using a needle. 7. Arrange the lines of flowers and pompoms as desired along the branch. Double knot the fishing line at the top of each to secure it to the branch. 8. To hang the finished piece on a wall, tie a thicker piece of string to each end of the branch. 1. Wrap the yarn around the fork approximately 40-60 times and trim. The more times you wrap the yarn, the flu er and more dense the pompom will be. I used both a large and small fork to create two different sizes of pompoms. 2. Cut a small piece of yarn and poke one end through the centre of the fork at the hole near the base of where you’ve wrapped it. Tie a tight knot around the wrapped yarn. 3. Slide the yarn of the fork and cut all of the loops, leaving you with a rough pompom shape. 4. Using a pair of scissors, trim the pompom into a neat sphere. Love this DIY? Let me know if you try it out in the comments below! I’m super excited to announce that I’ve partnered with Sleep Country Canada for the launch of their Bloom mattress – a new “mattress-in-a-box” product that’s delivered to your door and blooms in only 15 seconds! As an advocate of all things convenient, I love the idea of a mattress that’s easy to set up, can fit into tight spaces (like up a flight of stairs or in the trunk of your car), and is super comfy to boot. You can view a video of me setting up my own mattress here. To celebrate the launch, I’ll be doing a series of blog posts over the next few months highlighting different ways to decorate your bedroom, from the affordable cozy corner finds listed in this post, to simple DIYs you can use to spice up your space. I personally like to change up my decor quite frequently, so I love finding affordable ways to add a personal touch that won’t be hard to switch out over time. This step stool poses as the perfect faux bedside table – the steps serve as shelves, and for $20, it’s super affordable and low commitment. I had already had the stool in the birch coloured wood lying around the house, but actually would have preferred the white wood that’s currently available online. One of the easiest ways to personalize a space is to add accent pillows or cushions in fun shades and patterns. I love a great pop of colour and couldn’t resist this adorable heart shaped cushion I picked up at IKEA. A classic Pinterest bedroom staple! Any shape, size or style of string lights will instantly add a dreamy, cozy vibe to your corner. 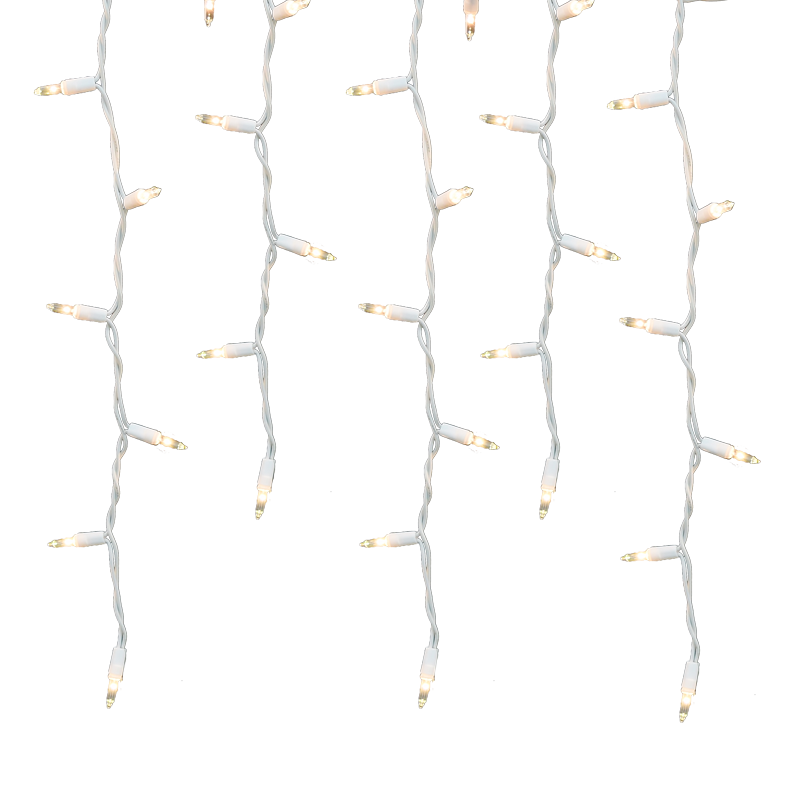 I just used a standard string of white Christmas lights that I already had on hand to dress up my area. 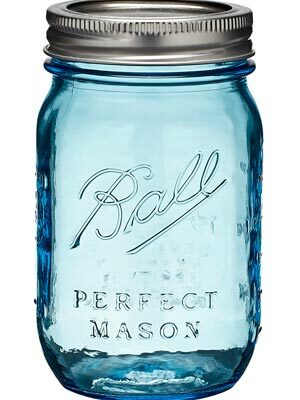 There’s something about a mason jar that just has awesome aesthetic appeal. You can find them new for next to nothing at your local dollar store, or you can hunt for vintage jars (often tinged a pretty blue colour) at the flea market like I did. Use them as a vase for flowers, or fill them with fairy lights for a swoon-worthy nightlight. I love succulents! I actually scored the artificial one I used in the photos above from the Dollar Spot at Target, but you can find tons of cute options online for cheap. Whether plastic or the real deal, these little guys breathe life into your decor and provide a much needed dose of greenery. This was the other piece that acted as a furnishing element of my setup. Wooden crates are super inexpensive at your local craft store and add a rustic chic touch to your design. An easy way to make your cozy corner super comfy? Incorporating your favourite throws and blankets. Storing them beside your bed makes them easy to access while also prettying up the space. The one I featured is actually a faux fur rug that I like to keep clean and out of the way for flatlay backdrops! I’m totally loving the lightbox trend, and this mini model is only $30 at Indigo. Besides adding an awesome retro feel to your bedroom, the best part is that you can customize the message to say anything you’d like. Another affordable way to add some greenery into your space, this artificial palm leaf is a great statement piece that will totally make you feel like you’re relaxing in a tropical destination. Photos instantly personalize your bedroom, and surrounding yourself with pictures of the memories and people you love can really help build a positive environment. I’m a sucker for these little instant photos and the look of the classic Polaroid frame. Coffee table books serve double duty – practical to read, but also super pretty to look at! If you have a collection of your favourite books, your cozy corner is the perfect place to display them. I’ve been loving “Capture Your Style” by Aimee Song. I’m really looking forward to continuing to decorate my space over the next few months, and hope you’ll be able to find some inspiration for your own bedrooms throughout the process! If you liked any of these ideas or have your own cozy corner favourites, let me know in the comment section below. Happy Halloweekend! In typical fashion for me, I chose to go the “cute” route with this year’s costume: Cotton Candy! I’ve seen a few variations of this look on the Internet but decided to put my own spin on it. Here’s a simple step-by-step tutorial of how I made this easy costume. Polyester fiber fill -I bought a 576 g bag, which was more than enough! In a well ventilated area, lay out your article of clothing and apply a light coat of spray adhesive to a small section. Make sure to protect your work surface (I used a garbage bag), as anywhere the adhesive touches will remain tacky. Take a small piece of the polyfill and apply it to where you sprayed the adhesive. Work in small areas alternating between applying the adhesive and sticking on the polyfill. I tried to create a wispy look with the polyfill to mimic the look of the spun sugar. Continue until the entire article of clothing is covered (flipping over halfway to cover the other side). Allow adhesive to dry for a minimum of one hour. Once dry, the costume is ready for a layer of spray paint! Spray your costume with the paint in short, even coats. I used the pink towards the top of the dress, and the blue towards the bottom, blending halfway to create an ombre effect. Allow to dry for a minimum of one hour. I also created a simple head piece for the costume to add the perfect finishing touch. To make this topper, I painted a small piece of polyfill with the pink spraypaint and hot glued it to a cone made of white cardstock. This was then hot glued to a headband the same colour as my hair. To complete the costume, I created a cute makeup look with things I already had in my makeup drawer. I used a pink blush on both my eyes and cheeks to accentuate the cotton candy colour scheme and also added a sparkly loose shadow to my lids for an extra pop. I always love to add a bit of sparkle on halloween, so I added some silver glittery eyeliner to my usual black wings, and glued on some clear rhinestones with some eyelash glue. Some false lashes for drama and a pretty cotton candy pink lipstick finished the look. I’ve never been one for the guts and gore of Halloween, but hand me a pair of sequinned cat ears and a pumpkin disguised as a donut and I’m a happy camper! One of my favourite parts of this time of year is being able to create cute crafts incorporating fall elements. I decided to recreate this donut pumpkin DIY by Studio DIY because it’s just so darn cute! For this project you’ll need a few small pumpkins, which are fairly easy to find at the grocery store at this time of year. I tried to select ones that were donut-esque in shape (flat and chubby). Next you’ll need some acrylic paint a paint brushes in assorted sizes. I picked up everything in the photo below at the dollar store for under $15. Pick whatever colours your heart desires – I personally chose to stick with a pastel theme. Acrylic paint is great for crafts, especially if you’re painting a weird surface (it sticks easily), but beware – it stains. Make sure to lay down newspaper in the area you’re painting on, wear clothes that you won’t mind staining, and keep paper towel on hand. It’ll take a few layers to get the paint completely opaque – be patient and give each layer time to dry. Doing multiple thin coats produces the best results. The beauty of acrylic paint is that if you make a mistake, you can paint over it! Don’t fret if your donut isn’t picture perfect – you have as many tries as you like. A small, flat-tipped brush is great for painting on sprinkles. This was a fun little DIY to do for Halloween, especially for a non horror-lover like myself. This would also be a super fun activity to do with kids, and it’s easy to put a personal spin on it! They almost look good enough to eat – it’s a shame I’ll have to throw them out in a couple of weeks once the pumpkins go bad! For now, they’re the perfect fall decor addition.